Chrome, Firefox, Internet Explorer, and Safari are the most popular gateways to the Internet, but if you find these mainstream browsers lacking, we have six feature-rich alternatives worth checking out. Opera is best known for innovating browser features that become essential, such as tabs and Speed Dial (a visual grid displaying bookmarks and favorite sites). Since Opera adopted WebKit and began taking code from the Chromium Project, it has become a great Google Chrome alternative. Opera runs Chrome extensions alongside its own add-ons, but what stands out most is Opera's touch-friendly interface -- now you can enjoy this familiar Chrome experience on touch-enabled PCs. Created for Mozilla enthusiasts, Pale Moon boasts the classic Mozilla browser interface -- pre-Australis update. But that doesn't mean that this Firefox spin-off is behind the times. On the contrary, Pale Moon drops support of older hardware in favor of reliability, adds support for 64-bit systems, and enables more browsing customization. Pale Moon also comes with default search engine DuckDuckGo and fully supports Firefox add-ons. Designed for power surfers, Comodo Dragon is a Chromium-based browser that provides an extra layer of defense as you traverse the murkier digital frontiers. Dragon disables many of Chrome's standard features -- such as Google user tracking, bug tracking, and default Google search settings -- in the name of security. Comodo also offers to route your browsing through its own DNS servers upon installation, where it can make additional checks of SSL certificates. For a Firefox version, check out Ice Dragon. If you need a browser optimized for downloading, sharing, and playing media, then look no further than Torch, a Chromium-based browser designed to let you easily access your entertainment. Torch's media grabber lets you save embedded music and video streams, while the download manager -- which prioritizes speed -- delivers content faster. 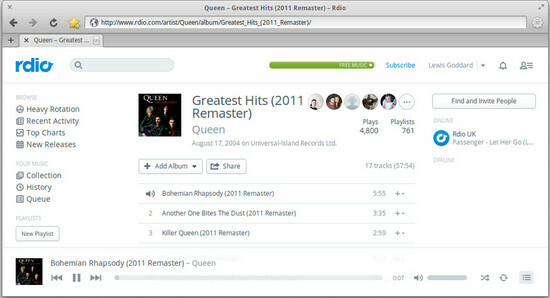 Torch also features a built-in Torrent downloader that enables file streaming during downloads. Rather than competing with Chrome, Torch aims to deliver the best online entertainment experience, even if you only use it for YouTube cat videos. To avoid browser trackers, try Tor. This little bundle allows you to access The Onion Network for anonymous Web browsing without requiring you to set up and configure the Tor client separately. Tor Browser is a customized Firefox build that automatically encrypts your data via the Tor client and wipes your cookies and history clean at the end of each session. Tor Browser also comes with additional Firefox extensions like NoScript and HTTPS Everywhere, which ensure safer, tracking-free Web browsing. Best of all, you can install it on a thumb drive for private browsing on the go. The most popular lightweight browser, Midori doesn't compromise your system resources. Built on the same WebKit engine that powers Chrome and Safari, Midori also supports the latest Web tech, like HTML 5 and CSS 3. However, you still need Adobe Flash Player to make Midori work with most major sites, including Google, Facebook, YouTube, and Twitter. Thank you for sharing your post! It is much useful. And as the topic is enough interesting for me I`d like to add few more browsers. Safari is Apple�s internet browser, and it is only compatible with Mac computers and Apple devices.Generally, it is fast and easy in using, and it syncs your browser settings with all your Apple gadgetess. SeaMonkey is a good one if you want all-in-one browsing or if you like to code and are going to create new add-ons and features. Maxthon is not the fastest browser, but it�s a good choice for those who are the fan of Internet Explorer�s layout and design. Having previously launched the Focus browser on iOS last year, Mozilla has now launched it for Android, and like Mozilla's flagship Firefox browser, it comes packed with features and an excellent user experience to boot. Focus will erase all information from your sessions as soon as you close your browser tab, delete your history, passwords and cookies while also removing trackers associated with ads. This should mean that the websites you visit will load faster, or so they claim. As an added extra, Focus will also alert you by sending you a push notification if you've got any sessions still open on your phone. This means you can close the tab and delete all records easily. It should be noted that Mozilla does collect data from this browser. You can read how in a privacy notice here. We have many browsers to surf the internet, I generally use the Google Chrome browser, I faced an issue as the AOL email account I am using is not opening on the particular browser. https://emailssupports.com/aol-support/ made me deal with the issue, it fixed the connection of the internet and made the email account open on the browser.